The recent 30th anniversary of the BBC soap opera (or ‘continuing drama’) EastEnders was given an extra subtle touch thanks to the on-set jukeboxes. We’ve reported in the past on the playlist used on the Queen Vic jukebox, but for the anniversary episode it was given a one-off makeover. 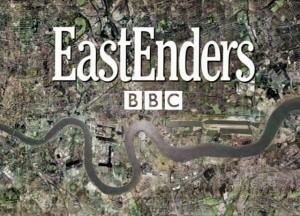 Instead of the usual combination of classics and modern tracks, the music selection was limited just to the year 1985 – the year EastEnders was first broadcast. The music was just one of several nods to the early days of the series, including a direct repeat of the first-ever line, “It stinks in here”. But for those of us with an interest in jukebox hire, it’s nice to see the continued commitment to the background music, and the atmosphere it can create as part of the episode. Back in September we reported on the EastEnders Spotify playlist, which provides the complete track listing for the Queen Vic jukebox. With a total of 119 tracks, it’s far fewer than you might expect on a typical pub jukebox nowadays, and combines acts like Bucks Fizz and Madonna with modern-day counterparts like Paloma Faith and Cher Lloyd. Fruit machine hire is one way for fairground operators to get their hands on gaming machines of the right category, which comply with the Gambling Commission’s regulations. As the warmer weather of spring approaches, places across the UK will see fairgrounds opening for the traditional ‘summer season’. To coincide with this, the Gambling Commission has reminded operators of some of the rules that apply to fairground fruit machines. For example, gaming machines at fairgrounds can include category D fruit machines, cranes (or ‘grabbers’) and coin pushers, but not higher-stake category B or C machines. There are also rules on fruit machine maintenance, meaning anyone who works with the machine – either as an operator or to work on repairing the machine – must be over the age of 18. Mike Williams, head of regional enforcement and compliance at the Gambling Commission, added that fairground operators should read up on the rules that apply to them as “some of the information may have changed from last year”. The recent IPA 2015 World Professional Championship could be a good inspiration to invest in pub pool table hire – particularly if you are in the Sheffield area. Of course Sheffield is already synonymous with snooker, but in mid-February the Magna Centre played host to the IPA. If you’re a publican, you’re probably thinking of ale – but the IPA is actually the International Professional Pool Players Association. On February 11th-15th, the world’s best professional pool players descended on the Magna Centre for an event with a £6,000 first prize for the singles champion, and £3,000 for the doubles winner. With 21 pool tables all in one room, there was plenty of action – and while you might not need quite so many tables to fill your venue, pub pool table hire is a good way to get your hands on as many as you can fit. There are plenty of ways to pay for the pool table hire, and revenue sharing can reduce your initial outgoings, making it more affordable to have two or more tables if you have the space and enough customers to make it worthwhile. You might even find your first pool table brings in enough extra custom to warrant adding a second further down the line – again, if and when this is appropriate, it’s not a problem.